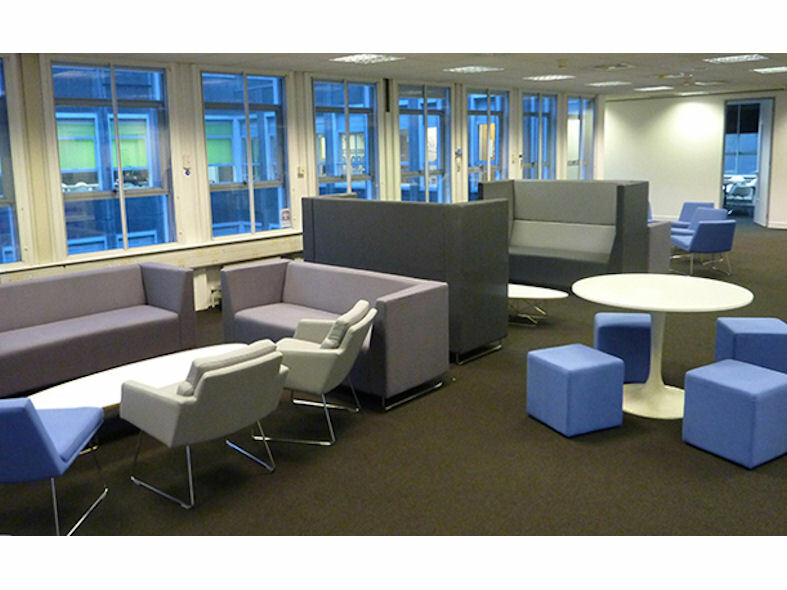 Julio is a soft seating range from mrf which comprises of free standing and modular upholstered elements. 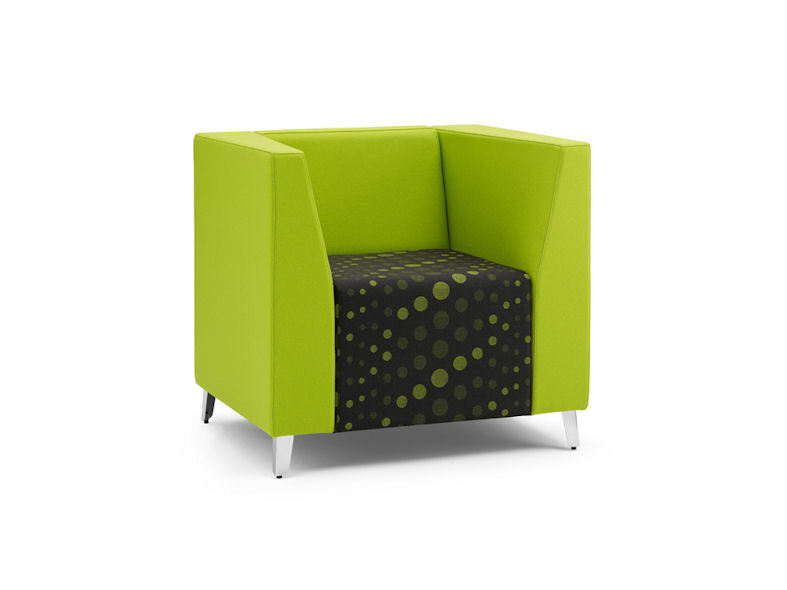 Specifically designed for the office, hospitality, leisure and contract markets, Julio has a crisp geometric aesthetic which is emphasized by its chamfered arm detail. 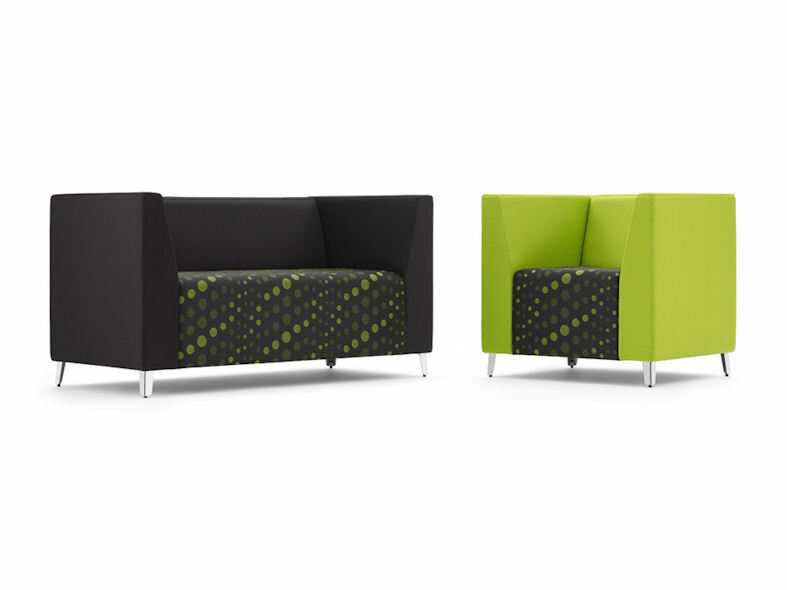 Available in a choice of high-back and low-back, Julio can be organised into a variety of configurations and installations. 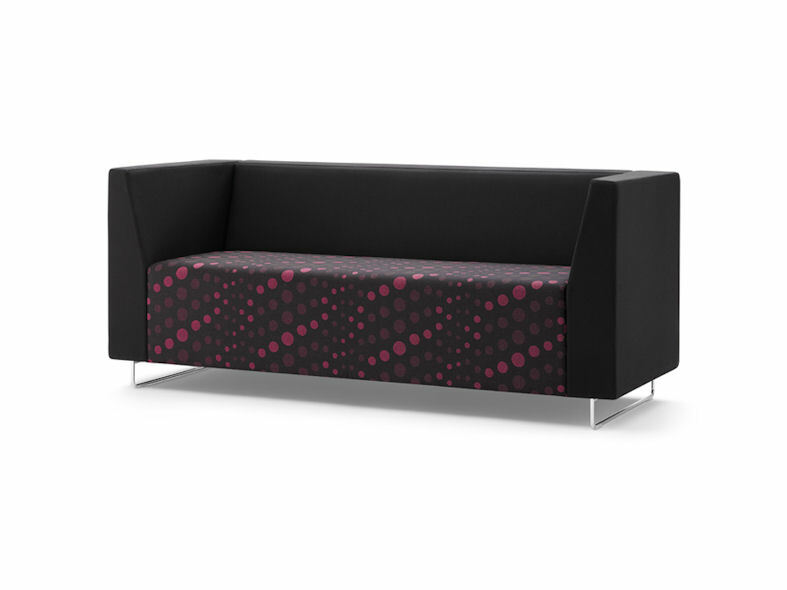 Julio's striking upholstery has been designed to provide a versatile platform for architects and designers to create various fabric combinations and colours. 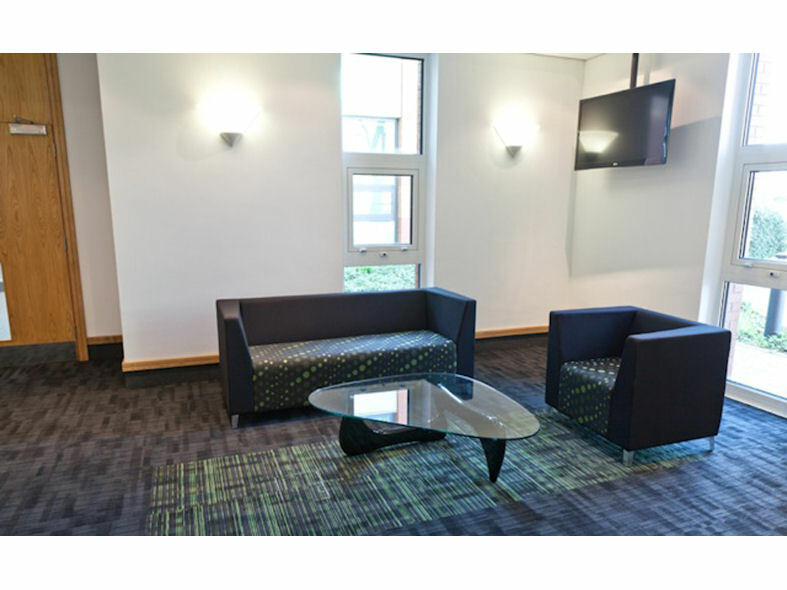 Additionally, coffee tables complement the Julio soft seating range and are available in various sizes and top finishes. Each table is supported on corner mounted, folded steel legs which coordinate with the aesthetic of the leg used on the upholstery. 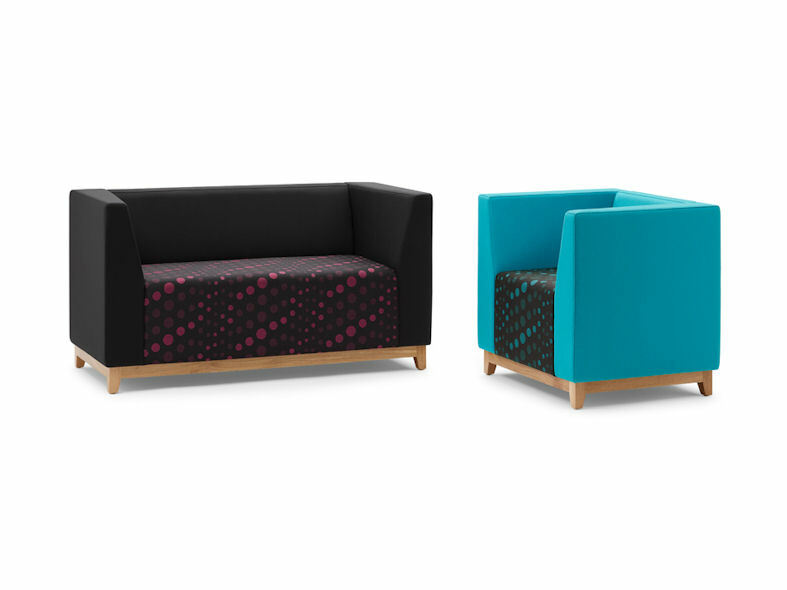 The latest addition to the Julio soft seating range is a new timber leg option for the hotel environment with an upholstered Julio 'rooms' for offices currently under development.